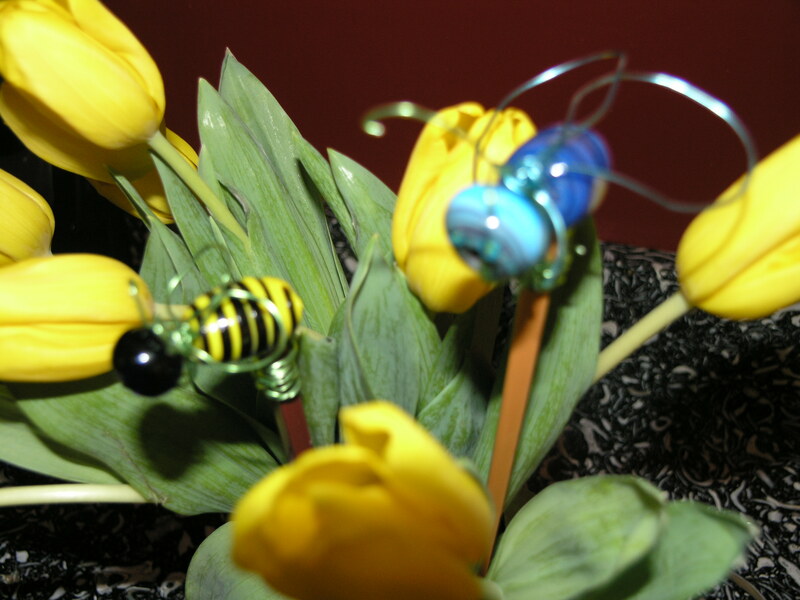 We created these to stick in our pot plants! Cut two-foot piece of wire. Bend wire in half to double. Hold bent end of wire against bottom of chopstick and wrap wire around stick a few times. Select two large glass beads. Thread largest of beads on doubled wire first, followed by smaller bead. 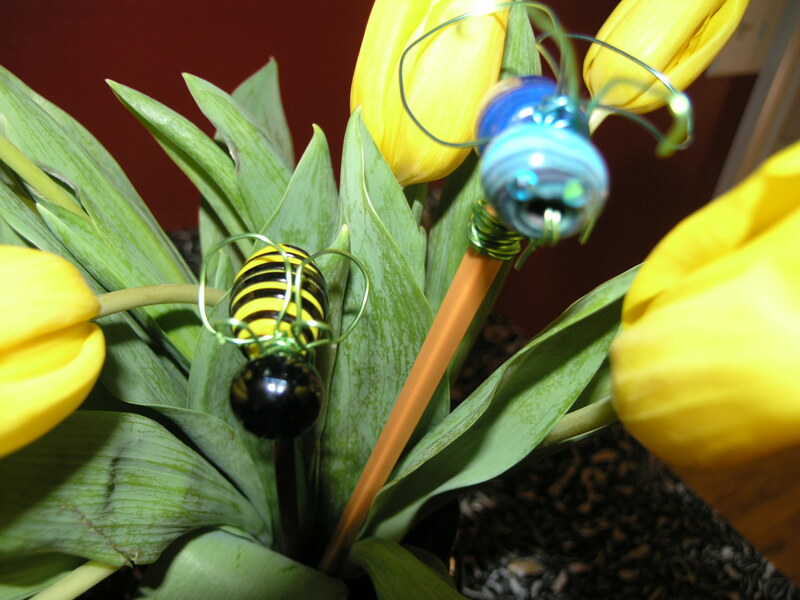 Bend wire back around smaller bead and wrap around wire that is between large and small beads. Separate doubled wire into two strands and shape each into a wing. Wrap around wire between beads to secure. Extra wire can be wrapped and cut to create feet if desired. We added rhinestone eyes to some of the bugs. Wiggly eyes would be cute too! 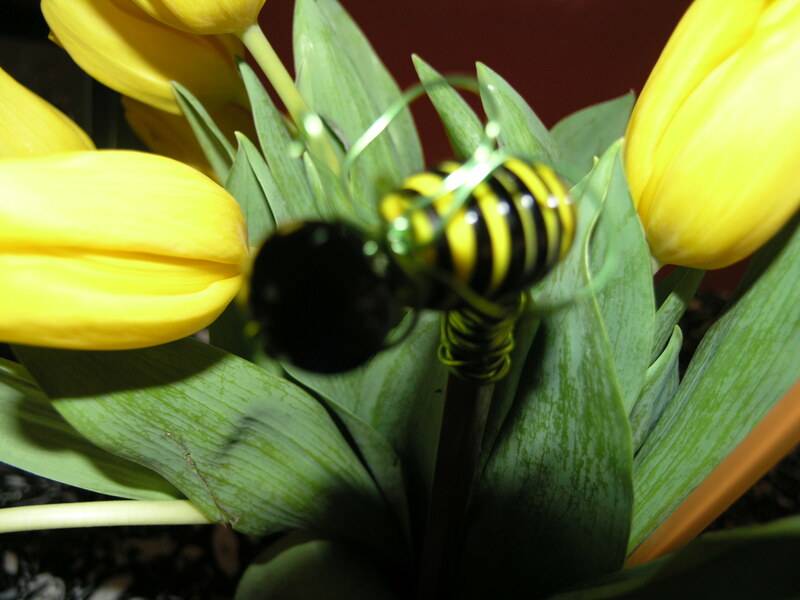 The black and yellow bead is perfect for a bee!